The power of pink adds warmth and cheer to every day. This mixed pink arrangement will make any occasion even more spirited. 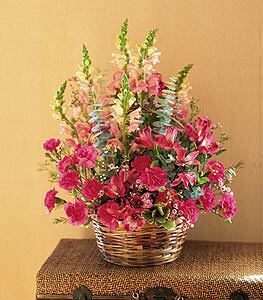 Alstroemeria, carnations and snapdragons arrive in a handled round basket.